I have been asked to endorse your 100 Shofars Rally tomorrow to demand the United Jewish Appeal-Federation not allow groups who support boycotts of Israel to participate in the New York City Israel Day Parade. 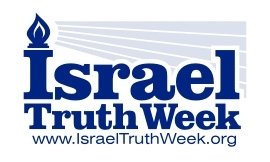 Israel Truth Week supports your efforts to mount a campaign against those seeking to destroy the honour of the Jewish people through boycott, divestment & sanctions activities which are based on hate, ignorance and historical fabrications. 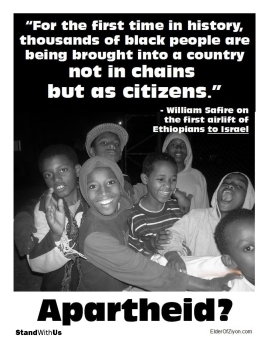 No peace is possible without truth, and the truth is that Jews are owners not occupiers of Judea and Samaria because of your land title deed from the ‘original’ two state solution: the 1922 League of Nations Mandate For Palestine. This is the real two state solution that –under international law – recognized your historical connection to Palestine; reconstituted your national home in Palestine; specifically encouraged you to build communities everywhere in Palestine – including Judea and Samaria; and then gave the part of your national home east of the Jordan River to Arabs in what is now Jordan. This is also the two-state solution that is still being ignored by the world because it represents such an inconvenient truth. Israel Truth Week does not advocate for either a one or two-state solution; we take the position that if the Jewish people give away part of the “national home” promised to them by the world community in the current climate of demonization and de-legitimization they will be handing her enemies an enormous victory by acknowledging – in effect – that every vile accusation associated with being ‘illegal occupiers of stolen land’ was true all along. We believe that this false narrative, if not dispelled, will be a terrible, unwarranted stain on the honour of the Jewish people. 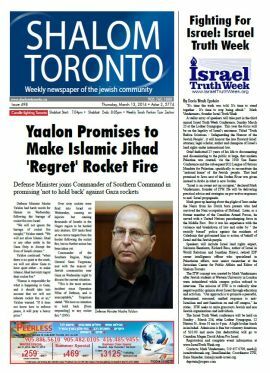 Israel Truth Week believes the best way to safeguard the honour of the Jewish people against BDS vilification and misguided ‘new’ two state solutions is to stop focusing on ‘solutions’ altogether and focus on truth instead. We call for a moratorium on all solutions-oriented activities until: 1) Israelis have been fully educated about the ‘original’ two state solution created by the League of Nations Mandate For Palestine, and can make an informed decision about whether giving up more land to Arabs is the path they wish to take. 2) The world community acknowledges that Jews are owners, not occupiers by virtue of the fact that Palestine was created specifically to reconstitute the national home of the Jewish people. 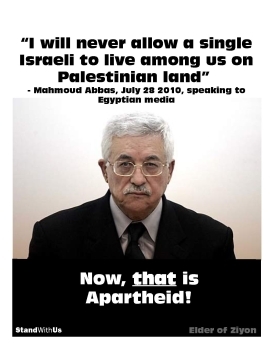 I wish you the greatest success in sending a message to Jewish leaders that no peace or justice is possible without truth about the original two state solution being in the forefront, and that truth can never be served by legitimizing those who take part in BDS activities. 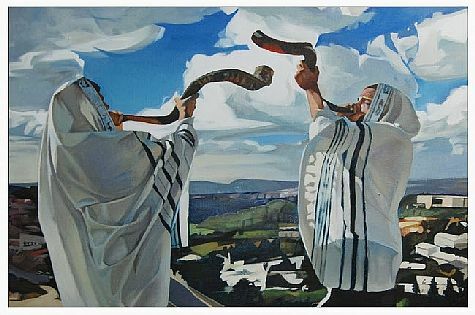 Bring Your Shofars to the Protest Rally! 1) Partners for Progressive Israel lists on its website Israeli companies that it wants you to boycott, including Ahava cosmetics, Soda Stream and wine from nine Israeli vineyards. 2) The New Israel Fund finances Israeli NGOs (non-governmental organizations) that promote BDS against Israel. Five New Israel Fund grantees (Machsom Watch, Coalition of Women for Peace, Women Against Violence, Social TV, and Mossawa) signed a letter to the Norwegian Government Pension Fund, urging it to divest from Israel. 3) B’Tselem produced the video that was shown at the infamous “Israel Apartheid Week” events held at Universities and Colleges worldwide. The chair of B’Tselem’s board, Oren Yiftachel, has publicly called for “effective sanctions” against Israel. B’Tselem is a major grantee of the New Israel Fund. JOIN US AS WE BLAST THE TRUTH! SAY NO TO BOYCOTT ISRAEL GROUPS IN THE ISRAEL DAY PARADE! Congratulations to the organizers of this rally for taking to the streets in protest and for inspiring Jews in Israel with their leadership. 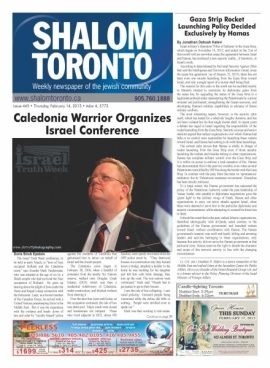 Israel Truth Week seeks to unite pro-Israel groups, and so, the idea of supporting a rally aimed against the UJA (which does great charity work in the Jewish community) leadership is not a course of action I would prefer to take, but the goals of the rally are consistent with ITW’s mission of restoring Israel’s image through education and activism.